I’ve never really liked ‘performance’ cookery. Most of the cooking I do is on the hoof, unplanned, un-shopped-for and generally last minute and chaotic. Quite often, it’s done without really enough time. It’s in this type of cooking that the real skill lies. What marks out a great cook is not the ability to produce one stellar dish every once in a while, but the ability to turn out tasty, healthy and inviting food on a weekday night after a frustrating and hard day at work. Bill Granger clearly understands this. His book is squarely aimed at tackling this type of problem. Granger is the star of the Australian cooking world, having opened his first restaurant, bills, in Sydney at the tender age of twenty-two, following that with another brace of Sydney restaurants before expanding overseas to Japan in 2008. His food is relaxed and informal, rooted in Granger’s self-taught background. is a collection of recipes with the time-poor in mind. 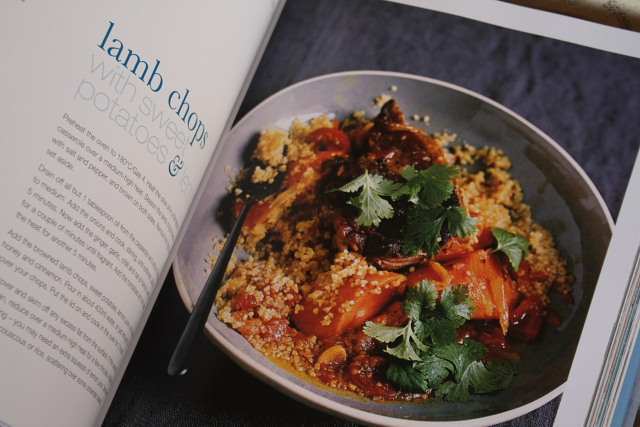 Granger emphasises the simplicity of his food, the speed with which it can be cooked and emphasises a central belief that food should be shared with family. Food and family are life. This is a substantial collection, with plenty of ideas and some great photography. It’s a lifestyle book with substance. Recipes revolve around the main meals of the day. The chapter on breakfast includes a sublime recipe for oaty hotcakes, pancakes with the added punch of a big handful of oats and some cinnamon and nutmeg that were an instant success this Sunday morning, the kids hoovering them up faster than I could flip them out of the pan. A recipe for cinnamon crunch muesli seemed a little too obvious – why bother making your own muesli? Other dishes reflect Sydney’s culinary influence. There is some strong Pacific rim cooking here – noodle dishes, parcels of soy, ginger and snapper, okayodon, a Japanese dish of chicken and egg, a stir-fry of shrimp and asparagus. Some bigger, ‘event’ dishes are included, but Granger points out that there’s “a fine balance between showing off and making an effort”. You get the sense that his dinner parties are relaxed affairs. Cue a meatball dish with tamarind, veal chops with tomato and marjoram and rabbit with chorizo and green chilli. Nothing too complicated, nothing too indulgent. Just big, gutsy flavours. 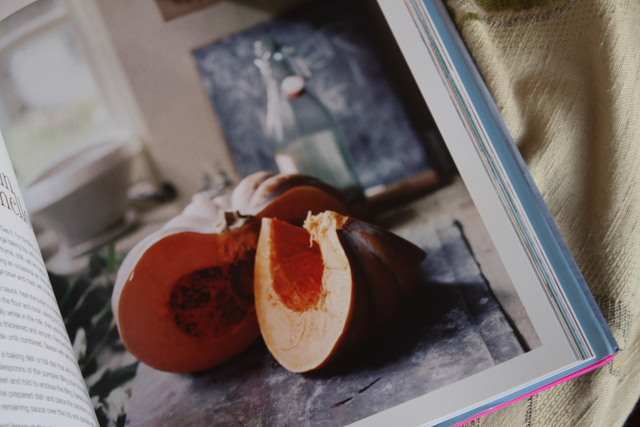 These are not pretentious recipes, nor are they particularly difficult to cook. They’re quick, straightforward and stripped of anything unnecessary. Lists of ingredients are generally short. This isn’t to say that there isn’t finesse, rather, there isn’t ebellishment where it isn’t needed. 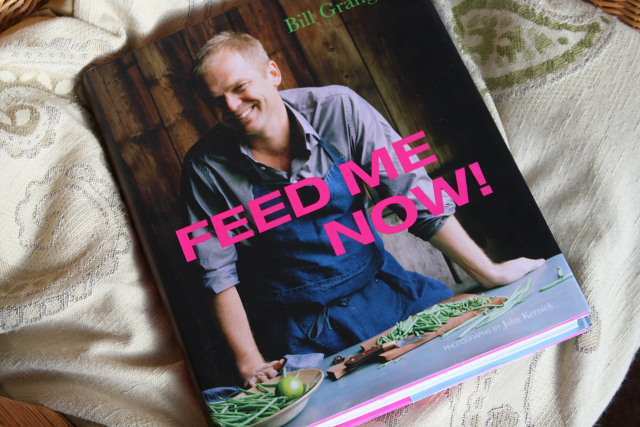 is an excellent introduction to Granger’s style of food, and an essential purchase for any time-starved, hungry family. I love Bill Granger. Didn't realise he had a new book out – will keep my eyes open for it! Great book review. Perfect for a holiday gift! I totally and completely agree with you. I must have the book too. Cheers for this review, looks like this book has a bit to offer. That lamb chop dish looks mighty inviting! Amen to books like this that balance time constraints with quality meals. Will have to keep an eye out for it. I especially appreciate the self-taught chefs; so impressive. We love that dish in my house and had it the other night. Why does nobody eat duck eggs anymore?